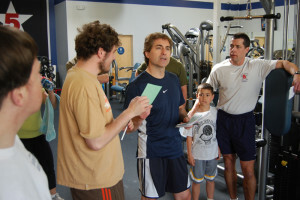 Personal Training In Marin came alive in October of 2008 as an alternative to stuffy, corporate gyms that fail to personalize unique experiences and offer exceptional services. PTIM recognizes we all need to be active, productive, and most of all enjoy our lives. Health, fitness, and personal growth with Personal Training In Marin promises to be exciting, well-balanced, & full of transformational results you’re looking for. At PTIM we believe and acknowledge that so many people in Marin County are looking to reach a higher level of health and vitality. We enjoy working with business executives short on time, retired and semi-retired professionals, and even back pain sufferers that want to improve their bodies and lifestyle. Our services our 100% iron clad guaranteed. 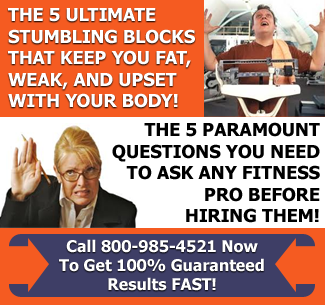 Based primarily out of Marin County, CA Personal Training In Marin is a unique, expanding company that believes in inspiring you and helping you reach your full potential. 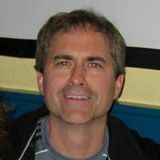 My name is John Spongberg and I formed Personal Training In Marin so that I can offer exceptional and unique personal training experiences to those of you who desire the best. I believe every person cares about how they look and feel… especially in Marin County, but not all of us like going into crowded, public gyms and dirty health facilities. PTIM offers an alternative to overused, sweaty health clubs and uncomfortable spaces where perfect bodies and attitudes are flaunted needlessly and unproductively. Wherever we are training I want you to feel like you are at home. Personal Training in Marin recognizes most of us don’t have perfect bodies, but improving ourselves every day is important and can be done. PTIM is looking to help you and those who honestly want to improve and stay committed to your health and fitness. We will provide you a health and fitness experience to remember…in a good way. Pain and misery is NOT how we coach and inspire. The location in which you train is very important. We want you to feel very comfortable and look forward to putting a smile on your face as well as providing serious results. You have many choices for your training: in home, fitness studios, or outside in the fresh air. What will work best for YOU? PTIM primarily implements results-driven training that will improve the way you look and feel. Helping people move better in their everyday life means also helping you to remain strong and independent throughout your life. Everyone has their own idea of improving their health and fitness. I promise to listen and design a transformational fitness training session or implement nutritional coaching that is individualized to what you truly seek. I, along with my educated friends and staff, will provide the most comprehensive up to date assessment, evaluation, and fitness protocols that are available in the field today. I offer a 100% money back guarantee I take very seriously. 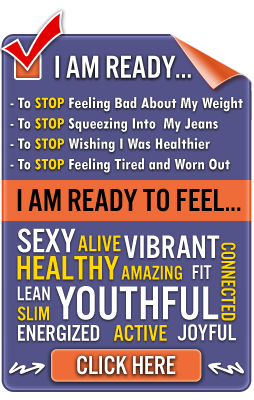 You will attain your goals… that is my word and promise!